Tryg Lundquist – With two decades of research and engineering practice, Tryg Lundquist, P.E. is one of the most experienced algae wastewater treatment engineers in the world. An Assistant Professor of Civil and Environmental Engineering at the California Polytechnic State University, San Luis Obispo, he was a long-time protégé of the late Professor William Oswald of U.C. 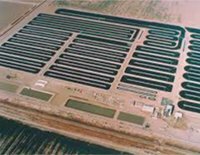 Berkeley, the pioneering developer of the modern raceway pond process for wastewater treatment and high-value algae production. Dr. Lundquist has developed crucial improvements in algal wastewater treatment and expanded its application into treatment of agricultural drainage and the toxic metalloid, selenium. He has participated in the design, construction, and operation of full-scale municipal high rate pond facilities. 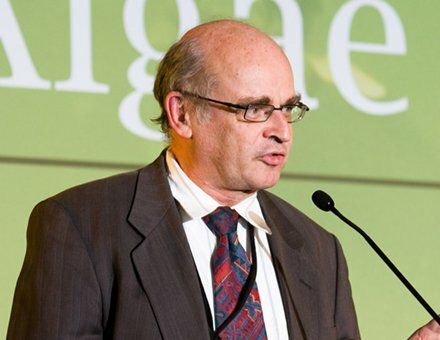 Georges Bonnin – Georges is Technical Adviser chez Microalgae Production, with experience in aquaculture, agriculture, renewable energy, R&D and a wide variety of biotechnology and bioengineering applications. He served as Chief Technology Officer and Cofounder of MicroAlgues Provence (France). He assisted in the engineering, implementation and operation of a microalgae production facility for Spirulina, Chlorella, Phaeodactylum, Isochrysis, Porphyridium and other species. He led a research and development team seeking production improvements. At Algae Green Value, in France, he led the Engineering, implementation and follow-up of the Algometha Process: a microalgae production unit utilizes heat and carbon dioxide from biodigestion of agricultural waste, making Spirulina production possible throughout the year in France. 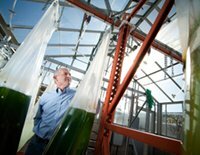 Director, California Center for Algae Biotechnology at UC San Diego, Dr. Mayfield has reached high acclaim for engineering algae for the production of therapeutic proteins and biofuels. The research in the Mayfield lab focuses on molecular genetics in green algae, and on the production of therapeutic proteins and biofuel molecules using algae as a production platform. To develop algae as a biotechnology platform, his lab is developing the molecular tools that will be used to produce either recombinant proteins or engineered biofuel molecules. 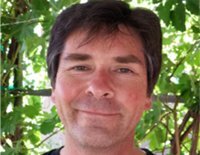 David Hanson – At the University of New Mexico, David Hanson’s lab focuses on the “dark side” of photosynthesis, a.k.a the carbon reactions and, in particular, photosynthetic electron transport and photoprotection. In recent years, he has also become interested in the interactions between photosynthesis and respiration in illuminated leaves. His favorite organisms to study are bryophytes (especially hornworts) and other early land plants, though he works with everything from cyanobacteria to poplar trees. He has just finished co-editing volume 37 of the series Advances in Photosynthesis and Respiration titled “Photosynthesis in Bryophytes and Early Land Plants” with Prof. Steven Rice of Union College. New Mexico Consortium – The NMC is a non-profit corporation formed by the three New Mexico research universities to advance scientific research and education in New Mexico. NMC pursues joint initiatives with LANL in Advanced Computing, Plant Biology, Biomedical Engineering and Modeling and Analysis. These initiatives leverage the technical strengths of the partnership to achieve technical advances in support of national priorities. NMC chooses technical areas where the partnership, working together, has a unique competitive advantage. Cal Poly University Algae Production Project – Dr. Tryg Lundquist leads the Cal Poly Algae Biofuels Production Project. The U.S. Department of Energy (DOE) awarded a $1.3 million grant to a Cal Poly research team led by professors Lundquist in the Civil and Environmental Engineering and Corinne Lehr in Chemistry. The grant supports the work of the Algae Technology Group (ATG) to develop efficient recycling of water and nutrients in algal biofuels production. ATG includes faculty and students from six departments, including Environmental Engineering, Chemistry, Biology, Animal Science, Food Science and Electrical Engineering. The grant reflects the fact that the DOE hopes to significantly improve the sustainability of algae-based biofuels and accelerate technological breakthroughs. The ATG project will turn waste resources, such as those from municipal and agricultural wastewaters, as well as nutrients recycled from algae biomass processing into sustainable algal biofuels. 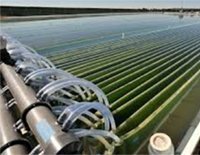 The project will be carried out in experimental raceway ponds at the City of San Luis Obispo Water Reclamation Facility, a pilot facility that has been invited to join the U.S. Department of Energy National Algae Biofuel Testbed program. Bigelow Laboratory for Ocean Sciences – Bigelow Laboratory for Ocean Science’s mission is to investigate the microbial drivers of global ocean processes through basic and applied research, education, and enterprise – learning that will be essential to the conservation and responsible use of the ocean and the many valuable services it provides. Research at Bigelow is organized around three core themes of Blue Biotechnology, Ocean Biogeochemistry and Climate Change, and Ocean Health. The Laboratory’s 60,000 square-foot, shore-based campus is located in East Boothbay, Maine, on the Damariscotta River estuary. 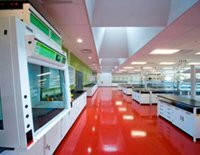 In December 2012, the campus became the first LEED Platinum certified laboratory in Maine and one of seven in the New England area. The Laboratory was recently rated one of the top 10 places to work in Maine. 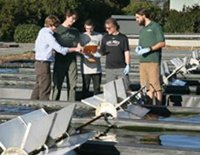 California Center for Algae Biotechnology – Dr. Mayfield’s Cal-CAB lab focuses on algae biotechnology research for the production of therapeutic proteins and biofuel molecules. The lab works on a variety of algae biotechnology research including developing genetic tools and investigating algae as a platform for biofuel and therapeutic protein production. Members of the lab are working on antibody-based therapeutics from recombinant proteins produced from the green algae Chlamydomonas reinhardtii. Other lab members are demonstrating that C. Reinhardtii can be used to produce novel hydrocarbons for the production of superior biofuels. 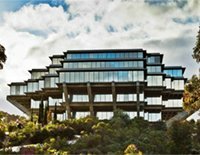 University of California, San Diego Cal-CAB – As algae biotechnology has grown and matured, UCSD algae experts recognized that California is an ideal location to build both the research as well as the production aspects of algae biotechnology. The range and diversity of algae biotechnology research and industry throughout California provides a unique opportunity to make considerable advances in the field, and with Cal-CAB, they are creating and maintaining cooperation, and facilitating joint research efforts and commercial partnerships. Stephen Mayfield is Director of the California Center for Algae Biotechnology. Note: Santa Fe Community College and Cal Poly State University, San Luis Obispo tied with the same percentage of votes. Cal Poly State University, San Luis Obispo – California Polytechnic State University, in San Luis Obispo, California, is in the process of demonstrating a pilot system called Reclamation of Nutrients, Energy, and Water (RNEW™). RNEW will grow and collect oil-rich algae that could be feedstock for biodiesel while also treating wastewater. Cal Poly is determining how to grow an algal bloom and then starve it into producing oil. 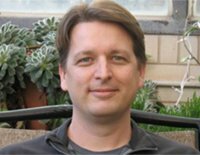 Associate Professor Tryg Lundquist is overseeing the project. 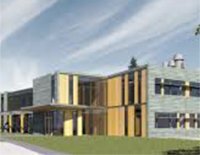 Santa Fe Community College – The SFCC Biofuels Center of Excellence algae facilities will see the expansion of their cultivation operations in 2016 to compliment their current photo bioreactor systems, allowing them to scale from a liter to an acre. SFCC will also expand their algal educational programs through an Algae Technology Educational Collaboration supported by the Department of Energy. SFCC strives to be the one of the leading facilities where education, industry and researchers can work together on demonstrating the many applications of algae. Their amazing team is dedicated to training and inspiring the next generation of leaders to take part in the integration of valuable solutions that algae can provide today and in the near future. SFCC offer certificates and degrees in Sustainable Technology programs such as Waste Water Operations, Water Conservation, Solar, Greenhouse Management, Aquaponics, Hydroponics, Green Building and Energy Efficiency, allowing their students and community to engage in the critical global issues of food, water and energy. Luke Spangenburg is Director of the Biofuels Center of Excellence. Smart Microfarms – Richmond, California-based Smart Microfarms may be the future of greenhouse, hydroponic and urban farming. Microfarms offer scalable microalgae growing systems for school, urban, rooftop and vertical farms to grow high value food that is local, sustainable and profitable. 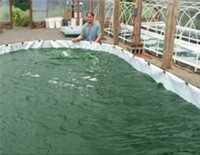 Now in a small area, fast-growing microalgae, like spirulina, can produce higher income for growers than conventional vegetables and herbs. Successful small-scale algae cultivation is now practical. Web-based remote sensors and controls developed by Robert Henrikson, CEO of Smart Microfarms, provide the expertise that guides local operators without the cost of onsite algae scientists. Scalable, modular growing systems allow microfarms to be installed anywhere. In this decade, 120 spirulina microfarmers have blossomed in France, demonstrating a new business model for how small growers innovate and build local and regional markets. For nearly 40 years Robert Henrikson has been an algae entrepreneur, a pioneer in spirulina production and marketing. Muradel Pty Ltd – Australia’s Muradel is an advanced bio-oil company that utilizes sustainable and renewable biomass as feedstock. The green crude produced by Muradel can be fractionated into a spectrum of fuel products and petrochemicals analogous to those produced from a barrel of fossil crude, for example renewable diesel. Muradel biocrude is energy positive and has a reduced carbon footprint compared with equivalent fossil derived crude. Apogee Spirulina – Apogee Spirulina will be the first of its kind artisan microfarm located in Santa Fe, New Mexico. It’s clear blue skies and warm sunny days offer an ideal climate for spirulina cultivation. 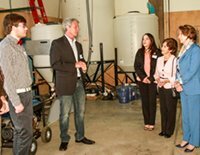 Founder, Nicholas Petrovic, found his way to spirulina through Santa Fe Community Colleges Biofuel program. After graduation, he headed to the south of France to master his skills of spirulina cultivation, where he learned the French artisan method. Upon returning to Santa Fe, he began his search for land to establish the farm. That search brought him back to the college where the farm will be located. It is a fantastic area to pursue such an ideal project as Santa Fe has a population that is very aware of their health. It was a natural fit. Earthrise Nutritionals – Earthrise, of Imperial Valley, California, has made it their mission to improve the health of consumers by producing, developing, manufacturing, and marketing Spirulina and Spirulina-based nutritional products to the world. They control each process from their farm to the local market, to maintain the best possible quality. In 1976 a group of U.S. visionary pioneers, including Robert Henrikson, founded the progenitor of Earthrise, Proteus Corporation, to develop Spirulina blue-green algae as a world food resource. Proteus was funded by a group of private California investors committed to the vision and hope Spirulina represented. Cal Poly State University Algae Biofuel Project – This Boeing-sponsored multidisciplinary research project at Cal Poly, in San Luis Obispo, California, focuses on algae cell biofuel production involving Cal Poly’s Biological Sciences, Food Sciences, Physics, and Electrical Engineering departments. They use pulsed electric fields to lyse (open) algae cells to release lipids for biofuel applications. The current project focuses on developing methods to electrically detect cell lysis. Algae cell electrical parameters (effective capacitance and admittance) vary as a function of lysing state and excitation frequency. An impedance analyzer and titanium-oxide (conductor) coated microscope slide test chambers are utilized in the Physics department (Dr. Jonathan Fernsler’s lab) to characterize algae and growth media vs. frequency. The end goal of this research is to couple electrical characteristics with cell shape, optical density (OD), and spectroscopic analysis to optimize energy efficiency in cell lysis and intracellular content extraction. National Center for Marine Algae and Microbiota – NCMA is a service center of Bigelow Laboratory for Ocean Sciences. 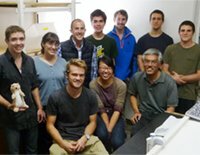 Bigelow Laboratory for Ocean Sciences is a non-profit 501(c)(3) organization conducting research ranging from microbial oceanography to large-scale ocean processes that affect the global environment. Income derived from federal grants, culture fees, and services supports the functions of NCMA’s mission. The U.S. Congress has designated the NCMA as the official phytoplankton collection for the nation. 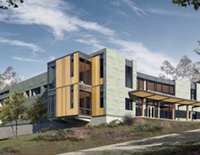 NCMA recently relocated to the Norton Center for Blue Biotechnology (NCBB) on the Bigelow Laboratory’s new Ocean Science and Education Campus. Cyanotech Corporation – Kona, Hawaii-based Cyanotech Corporation, a world leader in microalgae technology, produces BioAstin® Natural Astaxanthin and Hawaiian Spirulina Pacifica® – all natural, functional nutrients that leverage their experience and reputation for quality building nutritional brands which promote health and wellbeing. Cyanotech’s spirulina, FDA reviewed and accepted as Generally Recognized as Safe (GRAS) for use as a food ingredient, augments energy and immune response. BioAstin’s benefits derive from its superior antioxidant activity and from its ability to fight free radical damage and combat ongoing oxidative stress, enhancing skin, muscle and joint health. 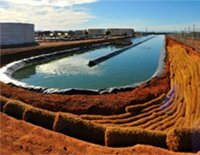 MicroBio Engineering – MBE, Inc., of San Luis Obispo, California, is a consulting and engineering firm specializing in the design and construction of algae ponds for wastewater reclamation, biofuel production, microalgae feeds and specialty products. The MBE team draws on over 60 years of experience by its Founders in microalgae biotechnology, from molecular biology and biochemistry to large-scale cultivation and civil/environmental engineering. They understand the challenges of achieving high performance with complex biological processes to meet productivity goals and regulatory limits. Solazyme – Starting with microalgae, the world’s original oil producer, Solazyme creates new, sustainable, high-performance products. These include renewable oils and powerhouse ingredients that serve as the foundation for healthier foods; better home, personal care and industrial products; and more sustainable fuels. Their best-in-class oils and ingredients don’t just deliver long-term, sustainable alternatives to traditional sources — they can also improve the quality and performance of virtually any product formulated with them. After identifying oil profiles that can improve both the health profiles and performance of products, they develop those oils with microalgae, providing alternatives to limited resources like petroleum, vegetable oils and animal fats. The results are first-of-a-kind, high-performance oils that are better for people and better for the planet. Cellana – With operations in San Diego, California and Hawaii, Cellana uses the most productive plants on earth – marine microalgae – to photosynthetically produce its ReNew™ line of Omega-3 EPA and DHA oils, animal feed, and biofuel feedstocks. Their mission is to develop and operate profitable commercial scale algae biorefineries and to establish Cellana as a leading source of algae-based products serving the human nutrition (Omega-3), animal nutrition, and biofuel markets. Cellana’s patented ALDUO™ system, a series of photobioreactors (PBRs) coupled with open ponds, enables economic and continuous production of diverse strains of microalgae. Duke Energy Carbon Capture and Storage – Duke Energy is collaborating in a number of carbon capture and storage research projects to explore potential technologies to capture CO2 from the flue gas of coal-fired power plants. They are hosting a project at their East Bend Power Plant, in Kentucky, to demonstrate an algae-based system for CO2 mitigation from coal-fired power plants. Project participants include the University of Kentucky Center for Applied Energy Research and the University of Kentucky Department of Biosystems and Agriculture Engineering. While the primary focus of the project is to demonstrate how to use algae to reduce CO2 emissions produced by coal-fired power plants, the project also focuses upon studying the production of biofuels and other bioproducts from the algae to demonstrate the economic feasibility of using algae to capture CO2. MBD Energy Bioremediation – Melbourne, Australia-based MBD has established a demonstration of low cost bioremediation of nitrogen and phosphorous at Pacific Reef Fisheries, Ayr, Queensland. The North Queensland prawn industry has not seen any expansion for the last 10 years. Environmental regulations require the level of nitrogen and phosphorous in the discharge water to have zero net gain from the inlet water for each new prawn farm, i.e. no new discharge of nitrogen and phosphorous to the Great Barrier Reef waters. MBD’s innovative process enables the prawn and fish industries to comply with this objective. 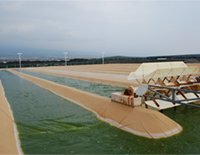 The use of algae to bioremediate nitrogen and phosphorous delivers a low cost remediation system that can be applied to existing and new aquaculture facilities. 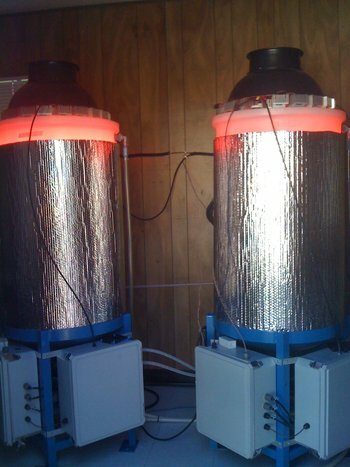 HyTek Bio CO2, NOx, SOx Mitigation – HyTek Bio, of Baltimore, MD, uses their proprietary process to mitigate CO2, NOx, SOx and other toxins through an optimized photosynthesis, using algae housed in 20-foot bioreactors. They use a variety of supporting technologies including gas injection, containment, LED lighting and nutrient mix. HY-TEK Bio uses a robust strain of freshwater algae designated HTB-1 after it was isolated by the University of Maryland Center for Environmental Sciences. The algae consume greenhouse gas produced by the Back River facility. Those gases are pumped into the bioreactors where they are photosynthesized and oxygen is produced. The process also produces more algae that can be sold for a multitude of purposes. Solazyme Algawise algal oil – Starting with microalgae, the world’s original oil producer, Solazyme creates new, sustainable, high-performance products. These include renewable oils and powerhouse ingredients that serve as the foundation for healthier foods; better home, personal care and industrial products; and more sustainable fuels. Solazyme’s best-in-class oils and ingredients don’t just deliver long-term, sustainable alternatives to traditional sources – they can also improve the quality and performance of virtually any product formulated with them. Smart Microfarms – Growing algae for feed, food and nutrients will have greater impact on reducing negative effects of climate change than biofuels. If 10% of the funding for algae biofuels had been directed into R&D for animal nutrition studies and reducing costs for aquaculture and animal feeds and human food, we would be well along this path. Robert Henrikson, CEO of Smart Microfarms, offers scalable microalgae growing systems for greenhouse, school, urban, rooftop and vertical farms to grow high value food that is local, sustainable and profitable. For nearly 40 years he has been an algae entrepreneur, a pioneer in spirulina production and marketing. 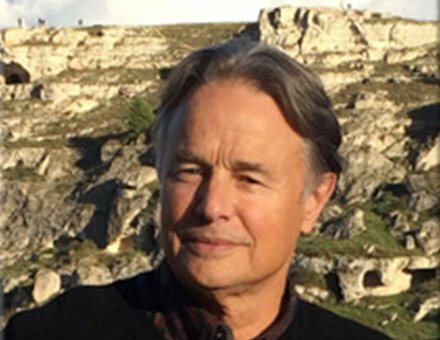 A founder and director of Earthrise Farms, world’s largest spirulina farm, for 20 years – as President of Earthrise Company – he marketed superfood products in 30 countries around the world. Alltech DHA – Alltech’s Algae works to fill the current nutritional gap with naturally DHA-enriched foods without all of the additives and the telltale “fishy” taste found in some DHA-added products currently on the market. The opportunity exists to increase DHA intake through natural, whole foods like milk, meat and eggs that have been enriched with tasteless DHA microalgae. Cyanotech Astaxanthin and Spirulina – Kona, Hawaii-based Cyanotech Corporation is a world leader in microalgae technology. The company produces BioAstin® Natural Astaxanthin and Hawaiian Spirulina Pacifica®– all natural, functional nutrients that leverage their experience and reputation for building nutritional brands which promote health and wellbeing. Cyanotech’s spirulina, FDA reviewed and accepted as Generally Recognized as Safe (GRAS) for use as a food ingredient, augments energy and immune response. BioAstin’s benefits derive from its superior antioxidant activity and from its ability to fight free radical damage and combat ongoing oxidative stress, enhancing skin, muscle and joint health. 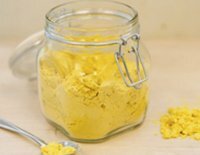 Triton Health and Nutrition – Triton Health and Nutrition, of San Diego, California, is an algae life science company that makes high-value, orally deliverable recombinant proteins, produced in edible green algae. Triton is dedicated to developing algae-based products that improve human and animal health, and to developing algae as a platform for recombinant protein production for any nutritional, medical or biotechnology application. 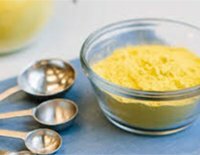 The company is focused on proteins that have highly beneficial properties that support general digestive health in humans and animals, show potential for significantly decreasing the use of antibiotics in animal feed, and most recently, demonstrate a positive effect on the growth and cognitive development of infants who were fed formula containing these proteins. Triton is currently collaborating with several major food nutrition companies to develop these transformational products for the human and animal health market. AlgaTechnologies – Israel-based AlgaTech is an innovative biotechnology company specializing in the development and commercial cultivation of microalgae for human health benefits. Producers of AstaPure®, the company is a global leader in natural astaxanthin sourced from the microalgae Haematococcus pluvialis. Founded in 1998, Algatechnologies is located in Israel’s Arava desert, an optimal location for algae cultivation thanks to stable climate conditions and intense sunlight year-round in an eco-friendly environment. Algatechnologies markets its products worldwide as an active ingredient in nutritional supplements, cosmeceuticals, foods and beverages. Algatechnologies’ proprietary cultivation process employs a closed photobioreactor system, ensuring a fully controlled process, high active-ingredient content, an extremely pure product and consistently reliable quality. The use of supercritical CO2 extraction technology guarantees solvent-free products. Solix Algredients – Fort Collins, Colorado-based Solix Algredients is a B2B supplier of algae-based, natural ingredients that benefit health-conscious consumers. The company is a leader in algal cultivation and has demonstrated its proprietary technology at scale. Solix is applying its algae supply chain experience and expertise to bring Solasta™ Astaxanthin and other natural algal ingredients to market. Solix Algredients is headquartered in Fort Collins, with additional R&D resources in Russia and China. MicroBio Engineering – MBE is a consulting and engineering firm specializing in the design and construction of algae ponds for wastewater reclamation, biofuel production, microalgae feeds and specialty products. The MBE, Inc. team is highly experienced, drawing on over 60 years of experience by its Founders in microalgae biotechnology, from molecular biology and biochemistry to large-scale cultivation and civil/environmental engineering. They understand the challenges of achieving high performance with complex biological processes to meet productivity goals and regulatory limits. 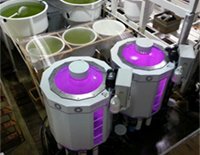 Industrial Plankton – IP’s algae bioreactors are a turnkey solution for biotech, aquaculture hatcheries, and researchers. The automated culture scale up, and self-cleaning features make them ideal for producing large volumes of clean inoculum for larger scale raceway systems, or the algae produced can be used directly as a feed for larval animals in aquaculture hatcheries. A compact footprint and turnkey design allows the reactors to be shipped anywhere in the world, and can be operational within a few hours of arrival. New Solutions Energy – NSE’s Algae Base Station Inc. has been operating in conjunction with the Santa Fe Community College since 2012, where the algae facilities house a wide array of cultivation and harvesting equipment. NSE’s patents pending systems are the backbone of an algae test bed that provides students with a hands-on working platform for training. Students learn how to use photobioreactors for the cultivation of several different strains of algae. The test bed has been the site of biological, chemical and mechanical remediation of produced water from the petroleum industry. It also works in collaboration with the SFCC Biofuels Center of Excellence’s anaerobic digesters, wastewater treatment, and solar technology systems. NSE is involved with statewide and national efforts to create and test systems that use algae cultivation to remediate, recycle and reuse water; identifying industry waste streams for value and profit. Evodos Spiral Plate Technology — Evodos is the developer and manufacturer of Dynamic Settlers. Dynamic Settlers are fast rotating equipment to separate fine particles from one or more liquids. The working principle of these Dynamic Settlers is Evodos’ proprietary separation technology, called Spiral Plate Technology. The Evodos Dynamic Settlers excel in the combination of high separation effectiveness, a liquid free discharge, no usage of flocculants and low energy requirement. Evodos delivers a range of Dynamic Settlers, varying in throughput and dedicated for different sets of applications. 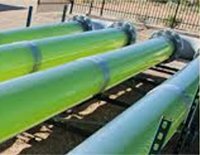 Applications range from highly diluted soft particles like algae to abrasive mixtures like saturated drilling fluids from the oil industry. 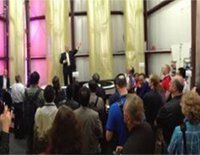 Evodos equipment is sold either directly or through our dealers. The equipment is running and serviced throughout the world, on five continents. The company is based in Raamsdonksveer, The Netherlands. Pall Corporation Cross Flow Membrane Water Treatment/Harvesting – In crossflow filtration, an incoming feed stream passes across the surface of a crossflow membrane, and two exiting streams are generated. The permeate stream is the portion of the fluid that passes through the membrane. This filtered fluid will contain some percentage of soluble and/or insoluble components from the initial feed stream that are smaller than the membrane removal rating. The remainder of the feed stream, which does not pass through the crossflow membrane, is known as the retentate stream. Increasing the transmembrane pressure typically increases the permeate rate up to a certain threshold value; however, this increase is not always proportional. Fluid velocity, the speed at which the fluid moves across the membrane, impacts both the fouling of the membrane and the permeate rate through the membrane. With increased velocity, the fouling rate decreases and the permeate rate increases. Permeate flux rate is affected by the membrane rating, fluid velocity, viscosity, suspended solids concentration, transmembrane pressure, temperature, and membrane fouling. Permeate rates decay as membranes foul from particulate and gels that do not fully pass through the membrane. U.S. Centrifuge Systems – The oldest American industrial centrifuge manufacturer and engineering company, specializing in liquid-liquid and liquid-solid centrifuge separation technology, solids dewatering, and centrifuge liquid filtration and fluid clarification systems technology. 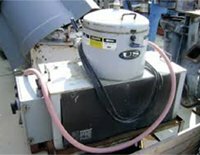 Patented technology from US Centrifuge Systems removes solids at sub-micron levels and generates forces up to 7,500 times greater than gravity. US Centrifuge Systems logged over 700,000 man-hours of labor in 2010, with a proactive team of experts comprised of experienced engineering and industrial professionals centered on customer-focused industrial solutions. Phenometrics PBR101 – Phenometrics products enable scientists to study algae under the same conditions found outdoors in the ponds, but in the much more efficient confines of the laboratory. 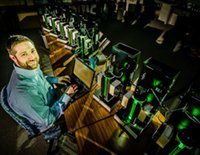 Each computer-controlled PBR101 uses breakthrough technology to re-create the environmental conditions such as temperature, light intensity and CO2. Many researchers use the PBR101 to set specific parameters to maintain consistency between experiments. Most importantly, the PBR101 enables reproducibility, a key factor in algae research experiments. 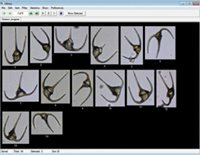 Fluid Imaging Technologies FlowCam – Regardless of the types of algae being produced, continuous monitoring is required to understand the growth, composition, and purity of one’s algae. 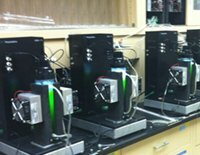 The FlowCam is specifically designed to help analyze large volumes of algae data, quickly. Different applications require the extraction of different types of biomass from the algae stock, such as lipids, oils, pigments, and proteins. 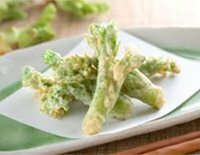 Depending on the application, different species of algae are found that optimize the yield of the specific biomass desired. 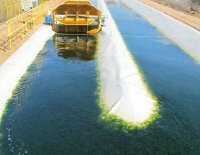 Once the desired feedstock is found, high capacity production methods are used to produce harvestable amounts of algae stock for the application. These may be monocultures or mixes of several different species. 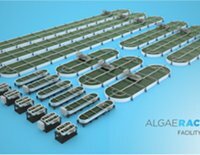 Algae Production Systems – APS, of Houston, Texas, was formed with the goal of producing and marketing turnkey, commercial scale, economically viable algae production systems. APS focuses on the manufacture, sales and support of equipment for the production of Algae, Algae Oil and Algae Biomass. APS provides turn-key operations, from installation of all equipment, to making the farm fully operational – which include training of the farm operators. 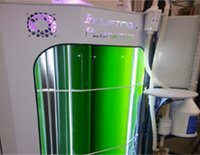 Phenometrics Algae Growth Simulators – The computer-controlled PBR101 uses breakthrough technology to mimic environmental and/or production conditions such as temperature, light intensity and CO2. The PBR101 allows you to monitor actual growth (via on-board turbidistat) as your algae progresses through its growth phases, so that you can know what helps and what hinders growth. Choose from pre-programmed experiments, or quickly and easily design your own, with the growth variables that are most important to you. Use multiple systems for simultaneous optimization of growth conditions either by condition, algal strain, or both. Up to 256 reactors, each with its own-programmed experiment can be controlled simultaneously by a single computer running Algal Command, Phenometrics’ software written specifically for customized experimentation for the optimization of algal growth conditions. 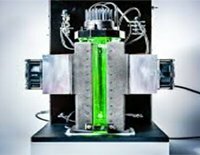 Industrial Plankton Automated Bioreactors – Industrial Plankton’s bioreactors can are cleaned and sterilized with the push of a button, and are fully automated, eliminating the majority of repetitive tasks involved in culturing algae. Touchscreen controls and real-time graphing of the culture conditions allow operators to quickly access a culture, and make changes as necessary to optimize the output. The reactors come equipped with all the necessary controls, pumps, filters, sensors, etc, making them truly turnkey. These features, and many more, combine to create a highly productive, user-friendly bioreactor with small footprint. Perpetual Biotechnologies Modular Alga Culturing – Founded in 2015, Perpetual Biotechnolgies is a renewable clean technology company, aiming to develop sustainable algae derived products and ideas that will embrace nature and help humanity. 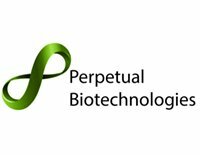 Perpetual Biotechnologies’ mission is to discover, develop and deliver to humanity innovative solutions for fighting numerous day-to-day and social conundrums such as malnutrition, increasing levels of CO2 in the atmosphere,use of land and diseases. They are currently testing our fully automated proprietary modular cultivation system, a simple turnkey solution that allows fast, secure and versatile cultivation. The company operates their headquarters, as well as research and development facility in the Republic of Cyprus. John Benemann, CEO MicroBio Engineering – John holds a B.S. in Chemistry and a Ph.D. in Biochemistry, both from the U.C. Berkeley. He spent three years as postdoctoral fellow at the Department of Chemistry at U.C. San Diego; then rejoined U.C. Berkeley in the Department of Civil Engineering, where, as an independent researcher, he supervised half a dozen Ph.D. thesis students in Civil Engineering, Biophysics and Plant Physiology. From 1983 to 1988, John was an Associate Professor in the Department of Applied Biology at the Georgia Institute of Technology, where he also supervised Ph.D. and M.S. theses in Chemical Engineering. 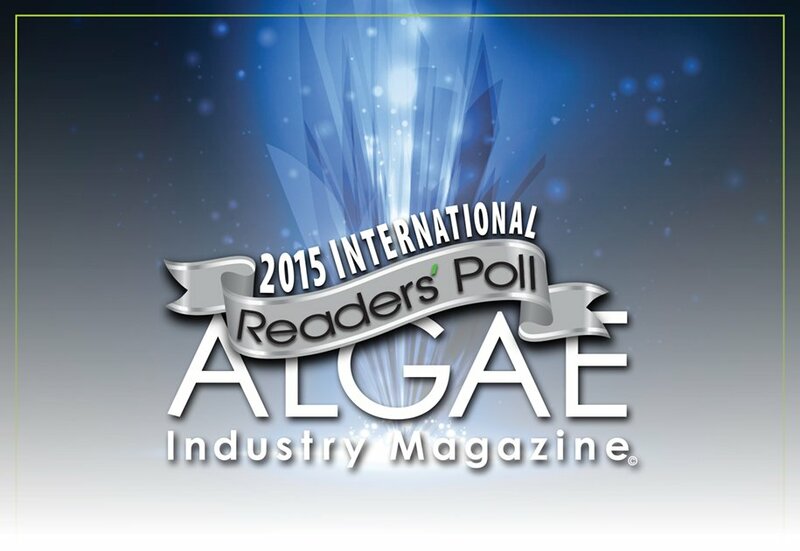 Dr. Benemann is probably the world’s most sought-after algae consultant. He advises many Fortune 100 corporations in the US and abroad on algae technology and algae business matters. Robert Henrikson, CEO of Smart Microfarms – offers scalable microalgae growing systems for greenhouse, school, urban, rooftop and vertical farms to grow high value food that is local, sustainable and profitable. For nearly 40 years he has been an algae entrepreneur, a pioneer in spirulina production and marketing. A founder and director of Earthrise Farms, world’s largest spirulina farm, for 20 years as President of Earthrise Company, he marketed spirulina superfood products in 30 countries around the world. 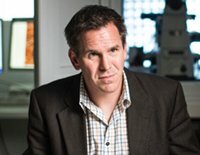 Robert has been a consultant and advisor to investors and companies in algae ventures, presents at conferences, writes for industry media and has produced over 20 educational algae videos. Steven Mayfield, Professor, UCSD – Dr. Mayfield is the director of the California Center for Algae Biotechonology, co-director of Food & Fuel for the 21st Century, and a professor of Molecular Biology at the University of California, San Diego. His research focuses on gene regulation in eukaryotic algae and the use of this alga for the production of human therapeutic proteins and as a platform for biofuel production. He received his Ph.D. in Molecular Genetics from the University of California, Berkeley and B.S. in Biochemistry and Plant Biology from the California Polytechnic University in San Luis Obispo. Dr. Mayfield and his lab built the first algae surfboard with algae oils. 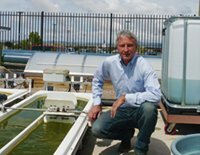 Luke Spangenburg, of Santa Fe Community College – was first exposed to the algae industry by the Santa Fe Community College’s Sustainable Technologies program. Inspired by what he learned, he founded New Solutions Energy (NSE, Inc.), which focuses on cultivation technology, and ROI modeling tools. Currently Luke serves as the Director of the SFCC Biofuels Center of Excellence, which prides itself in offering a collaborative environment fostering growth and supporting local enterprise. International Algae Competition is a global challenge to design our future with algae food and energy systems. As a participatory design game, Algae Competition invited global citizens from around the world to design their own future with the foods they eat, systems that grow algae, and landscapes and cityscapes they dream of living in. Over 140 participants responded, representing 40 countries. Individuals and teams submitted many amazing designs, projects and food ideas. Growing algae offers a future beyond scarcity with sustainability and abundance. 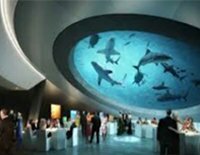 Visit the many exhibits on the site. View the Award Winners here. Robert Henrikson and Mark Edwards published a look ahead in Imagine our Algae Future: Visionary Algae Architecture and Landscape Designs, available at Amazon.com. Imagine reviews algae production, products and potentials and showcases some of the amazing visions of our future from the International Algae Competition. See the incredible 4:45 minute video Algae Competition: The Future of Algae. An affordable oral malarial vaccine (underdevelopment by the UCSD team). The use of antibody drug conjugates to target cancer cells combined with the application of protein toxins that inhibit cancer-cell proliferation by killing cancer cells. Interferon, which are proteins made and released by host cells in response to the presence of pathogens such as viruses, bacteria, parasites or tumor cells. Complex drugs are currently produced from the cells of mammals, terrestrial plants or bacterial cells. Stephen Mayfield’s team is exploring methods for faster, cheaper and better medical algae-based compounds. Algae diatoms deliver chemotherapy drugs – professor Nico Voelcker’s team at the University of South Australia, and collaborators in Dresden, Germany, have genetically engineered diatom algae to become therapeutic nanoporous particles. When loaded with chemotherapeutic drugs, they can be used to destroy cancer cells in the human body, without harming healthy cells. By genetically engineering diatom algae – tiny, unicellular, photosynthesizing algae with a skeleton made of nanoporous silica; the team was able to produce an antibody-binding protein on the surface of their shells. Anti-cancer chemotherapeutic drugs are often toxic to normal tissues. To minimize the off-target toxicity, the drugs can be hidden inside the antibody-coated nanoparticles. The antibody binds only to molecules found on cancer cells, thus delivering the toxic drug specifically to the target cells. The team stuffed the diatoms full of chemo drugs using a special two-step method, and then tested the nanoparticles on cancer cells both in vitro and in mice with induced neuroblastoma tumors. Not only did the algae successfully kill roughly 90 percent of cancer cells in a dish while sparing healthy human cells, they also reduced tumor growth in mice after a single injected dose. The mice also didn’t have any acute tissue damage from the chemo, and the diatom biosilica safely degraded in their bodies. Science Museum, UK, Can Algae Save the World? – Like all new technologies biofuels have their pros and cons. Scientists are working to improve them for the future – by developing new production processes and investigating alternative fuel crops. One surprise contender is… algae. Find out more about biofuels in the future. Phenometrics, Inc. PBR101 – Engineers design Phenometrics products for scientists and their research. Phenometrics products enable scientists to study algae under the same conditions found outdoors in the ponds, but in the much more efficient confines of the laboratory. Each computer-controlled PBR101 uses breakthrough technology to re-create the environmental conditions such as, temperature, light intensity and CO2. Many researchers use the PBR101 to set specific parameters to maintain consistency between experiments. Most importantly, the PBR101 enables reproducibility, a key factor in algae research experiments. Each PBR101 is also a measurement instrument, measuring growth rates, pH, and other factors in the algae reactor vessel, which are displayed on the computer monitor in a graph or data display. MicroBio Engineering, Colorado Lining Algae Raceway APIAC technology – Prefab Algae Raceways™ up to 101 M². This first-of-a-kind prefabricated Algae Raceway featuring APIAC™ technology is intended for medium to large-scale operations. Take the guesswork out of building your own algae raceways with these patent-pending modular algae ponds, ranging in size from 22 to 101 m² (6.5 to 30 m³). Don’t waste your time designing from scratch, sourcing the materials from countless vendors, then dealing with complicated custom installations. RW22-RW101 sizes are sold as complete and integrated systems including containment walls, liner, paddle wheels, and optional control systems. Installation is quick and painless with no specialty labor or contractors needed. The only site requirements are level, compacted ground and a 110-230 VAC, 50-60Hz power source. Solazyme, Algawise algal oil – Starting with microalgae, the world’s original oil producer, Solazyme creates new, sustainable, high-performance products. These include renewable oils and powerhouse ingredients that serve as the foundation for healthier foods; better home, personal care and industrial products; and more sustainable fuels. Solazyme’s best-in-class oils and ingredients don’t just deliver long-term, sustainable alternatives to traditional sources — they can also improve the quality and performance of virtually any product formulated with them.